What are the effects of meditation on the body? Are there any long term effects of meditation? Yes, studies have shown fantastic effects of meditation to alleviate stress and improve overall health. Learn how to relieve chronic pain, ease anxiety, improve heart health and poor immune system with simple meditation techniques! Also, what are the long term effects of meditation on the brain? Are there any negative side effects of meditation? Let’s find out! What are the physiological effects of meditation? The calming power of recurrence is the heart of meditation, according to studies. When you focus on your breathing, ignoring thoughts, and repeat single words or a phrase, this produces the natural reaction of relaxation. So, what are the effects of meditation on stress? Meditation will help you feel more relaxed and this will cause positive reactions within your body. A relaxed state of mind will improve your breathing and heart rate. A reduction in stress will lower your blood pressure, and increase metabolism. Any tension and muscles tightness will be released as the body accepts quiet signals to relax. Meditation Effects on the Brain – What does Science say? Scientific studies have shown amazing effects of meditation. By using brain scans on people who meditate, scientists discovered that meditation showed a boost in brain activity in the areas controlling the heart rate and metabolism. Are there any long term effects of meditation? Yes! Scientists have studied monks and found that meditation on a regular basis created lasting changes in the brain’s activity in the areas occupied in memory, attention, perception, and learning. Studies have shown amazing meditation effects on the brain that include cognitive and emotional benefits, improved concentration and attention. A reduction in social anxiety due to a decrease in the area of the brain that is responsible for stress, fear, and anxiety is another amazing example on positive meditation effect on the brain. Furthermore, mediation helps also preserve the aging brain. What are other Health Effects of Meditation? There are several other positive effects of meditation when it comes to health. Meditation as a practice has gained and is gaining millions of converts by helping them ease anxiety, stress, chronic pain, boost mood and immunity, improve heart health, and even resolve pregnancy-related problems. Let’s see what the physiological effects of meditation are when it comes to heart health, immune system, and women’s health. The effects of meditation on heart health have been confirmed by scientific research, stating that regular practice of meditation significantly helps to reduce high blood pressure and lower the heart rate. Positive results have especially been noticed among African American adults and teens. An improved immune system with elevated antibodies are other psychological effects of meditation. A study showed how a set of patients who meditated had elevated levels of produced antibodies against the flu virus as opposed those who didn’t meditate. In other words, meditation helps ward off illness and infections and works as an immune booster! The positive effects of meditation also include women’s health issues such as PMS, infertility, and even breastfeeding can be improved when women meditate regularly. 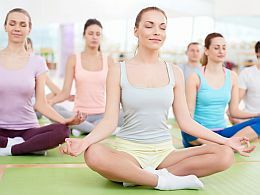 PMS symptoms as well as hot flashes subsided when women meditated. And women dealing with infertility had less depression, fatigue, and anxiety following meditation, exercise and diet change. A percentage of those same women were pregnant in six months or less. Are there any negative effects of meditation? No. If you practice meditation in the true sense, there is absolutely no side effects of meditation. However, sometimes when we try to overcome something, we do the opposite. Instead of quieting the mind and practice meditation, negative effects from trying to relax, gets in our way. You see, true meditation is about quieting the mind and letting go of thoughts. It is not about trying to accomplish something through ”efforting”. Most of us have learned that there is no gain if there is no pain. However, that is not true. When we relax and allow the Universe to do its job, this is when amazing things will start happening. So, just relax your mind and feel the positive effects of meditation. Most people in the western countries were not raised to sit and meditate saying: “Om”. However, the positive effects of meditation on the body and mind can’t be ignored any longer. Scientific studies have convinced people to give meditation a try. So, if you want to improve your overall health and gain the positive effects of meditation, you need to learn how to quiet your mind. Meditation is not difficult to learn and you don’t have to see a therapist or go to several meditation classes to learn it. But just like all competitive sports, meditation is a skill and you need to practice to master it. In time, you will increase the ability to generate such relaxed and meditative state rather quickly. By only meditating for 15 minutes, the whole day will go smoother and you will feel more relaxed. Meditation is a natural healing process. Though research has proved the positive effects of meditation on the body, the best thing is to try it for yourself. If something has been proven to reduce stress and many other health problems, it is certainly worth a try. Meditation doesn’t require getting in your car to drive to a doctor, be diagnosed, and receive medication. Meditation is a natural medication. It works. Try it!